Study the past and prepare for the future with the Master of Arts in History degree from Sam Houston State University. The MA in History program presents a truly unique learning experience in higher education, with an innovative curriculum that encourages and enriches the professional career goals of our scholars. Our student base includes aspiring young professionals interested in secondary teaching, professional programs, the military, civil service, public history, and two-year college faculty positions, as well as students who plan to continue their graduate studies in history onward to the Ph.D.
We offer graduate degrees in history through three primary delivery options. 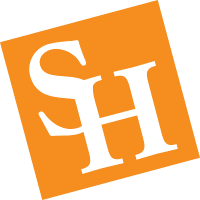 Students may complete a degree entirely online through the award-winning SHSU Online, entirely on campus through traditional seminar courses at the main SHSU campus in Huntsville and at The Woodlands Center, or through a hybrid model that mixes online and campus courses. Have a question about this graduate degree program? Check out the Department of History's F.A.Q. for more information. The Master of Arts in History degree can be earned by defending a portfolio of written work or by completing a master's thesis. Each method has its benefits and should be discussed with your program director before deciding. Learn more about this degree program's options. Applications to the graduate degree program in History are on a rolling basis.